It's the same story every year. You wake up groggy on a Sunday, and can't remember -- is it an hour ahead or behind in the Spring? What time does the clock wind back? And where's this daylight being saved, anyway? Plus, by the time your body adjusts, BAM! The clock changes again and you're discombobulated for a second time this year. While daylight savings may throw you for a loop, the American time change is child's play compared to other time zone quirks around the world. Here are 12 oddities about time zones so strange, you couldn't even make them up. 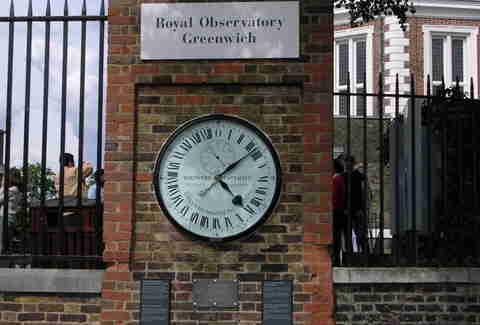 Greenwich Mean Time (GMT) was born at the world-famous Royal Observatory in Greenwich, London, established in 1675 by Charles II. According to the Observatory's website/the entire world, the site "is, by international decree, the official starting point for every new day, year and millennium". And yet, because the United Kingdom observes daylight savings (DST), in the Summer the country turns its clocks forward by an hour for British Summer Time – so in the warmer months, the Brits are an hour ahead of themselves. Sort of. 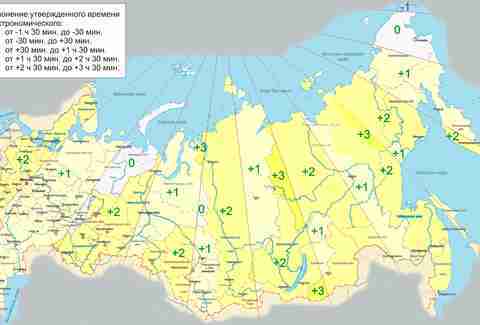 Though Russia spans a mammoth 11 time zones on a map, it only adheres to nine of the 11. 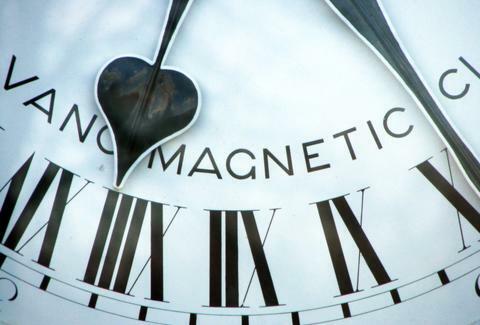 On March 28, 2010, at 2 am, while much of Russia turned their clocks forward, Russians in the nation's Udmurt Republic, Samara Oblast, Kamchatka, and Chukotka regions neglected daylight savings at the government's behest. Apparently, to streamline business relations with Moscow and unite with the rest of the country, Putin swiftly abolished the time zones overnight; subsequently, the Udmurt Republic and Samara Oblast switched from GMT +03:00 to GMT + 04:00, catching up with Moscow. Meanwhile, Kamchatka and Chukotka joined the time zone of Magadan Oblast, bringing themselves to GMT +11:00, eight hours ahead of the capital. Unsurprisingly, this year, Crimea skipped ahead two hours at 2 am on March 30, syncing up with Moscow. In Putin's Russia, clocks change you. 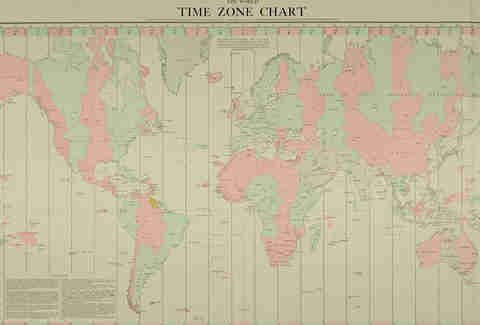 Despite being gigantic, India insists on maintaining one national time zone (GMT +05:30) over the entire subcontinent. Because nobody would have read "Midnight +02:30's Children". 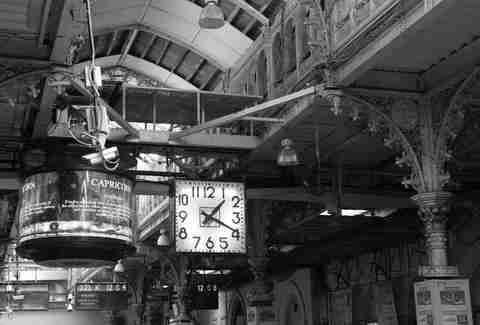 In the past, India's cities actually kept their own times, but the unified time zone was reportedly introduced during the colonial era to streamline the elaborate railway network, operating on what was called the Madras time zone. Still, that's like New York and Utah sharing a timezone, except with a bazillion more people in between. It's not like you can bottle it up for a rainy day, so a number of countries around the world don't actually observe Daylight Saving Time. Among them are much of South America (including Argentina and Peru), Asia (Japan, China, Indonesia, and Thailand don't do DST), the Middle East (such as the United Arab Emirates), and most of Africa, with the exception of Namibia, Egypt (see below), Tunis, and Morocco. And while South Australia observes DST, Northern Territory, Queensland, and Western Australia do not. More recently, on March 25, 2012, Nagorno-Karabakh Republic, in the South Caucasus on the Eastern European/Asian border, rejected DST in order to stay closer to Armenia (which has argued with Azerbaijan for the region, now partially under Armenian military control). Good luck knowing where all that stuff is on a map -- or for that matter, keeping track of it while you travel. 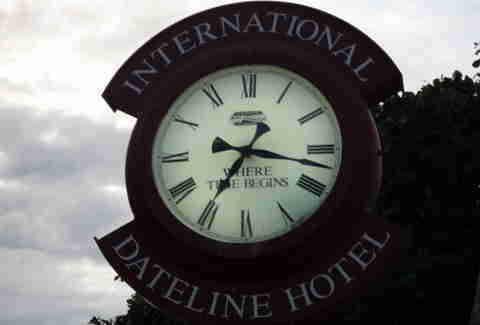 Hawaii doesn't adhere to DST, maintaining an easy-to-remember time zone of GMT -10:00 year-round. Strangely, in the Winter, Alaska is on the same time as Hawaii -- so, while their climates are world's apart, for half the year, both states observe HAST (Hawaii-Aleutian Standard Time). Try saying Hawaii-Aleutian three times fast. Arizona (GMT -07:00) has also ignored DST since 1975, owing to the state's monumental heat; as ABC15 points out, if Arizona did observe DST, the sun would rise at 6:30 am instead of 5:30 am, and set at 9 pm instead of 8 pm, making for a much less productive workforce, according to a study conducted by Michigan State University. A number of U.S. Territories -- such as the Virgin Islands, Puerto Rico, Guam, and American Samoa -- also don't observe DST. But they're not stars on a flag, so no one really cares. Several nations and territories recognize partial offsets from GMT, instead of the usual full hour -- making early people on time and late people even worse, or vice versa. Actually, late people are always awful. 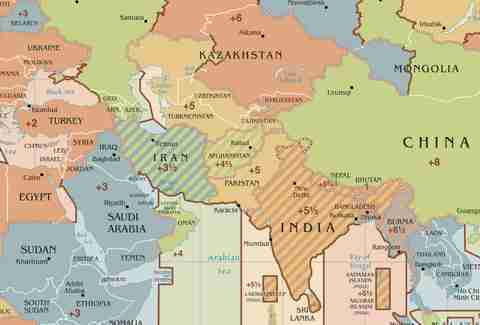 Iran (GMT +03:30, and GMT +04:30 in Summer), Afghanistan (GMT +04:30), Sri Lanka (+05:30), and Newfoundland, Canada (GMT -03:30, and GMT -04:30 during the Summer) are all off by half hours from neighbors. Places that recognize 15-minute offsets include Western Australia (which uses GMT +08:45), Nepal (GMT +12:45, switching to GMT +13:45 the Summer), and New Zealand's Chatham Island (GMT +05:45). 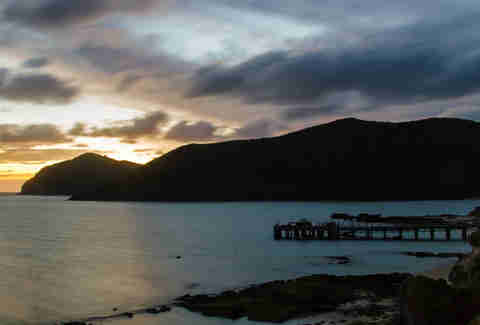 And then there's the anomaly of Lord Howe Island in Australia (pictured above, at sunset), which curiously puts its clocks back by just half an hour in the local Winter to GMT +10:30, only to skip ahead to GMT +11:00 in the Summer. Good luck figuring out how that works. Awkwardly, the island is half an hour ahead of Australian Eastern Standard Time. Though the atoll's time zone was officially standardized by the Standard Time Act 1987, and before that, by an earlier version of the same act in 1971, Lord Howe Island has been anecdotally adhering to its odd time-keeping since way back in 1904 (without concrete evidence, however). Samoans time-traveled at the close of 2011, when the nation decided to skip an entire day. The country officially moved time zones to miss out on Friday, Dec. 30 altogether, jumping swiftly from Thursday to the weekend, and into the adjacent westward time zone. Sounds like a dream come true for those suffering the aftermath of a Thirsty Thursday. The Samoan government instituted the change in a bid to separate the nation from its trading past with the US, and to improve its working relationships with closer countries like Australia, China, and Singapore -- all on the same time of GMT -11:00. American Samoa, on the flip side, didn't make the change, instead opting to remain one of the few territories in Oceania on the same time as the US. Space might feel light years away, but really it's only five hours ahead of New York. 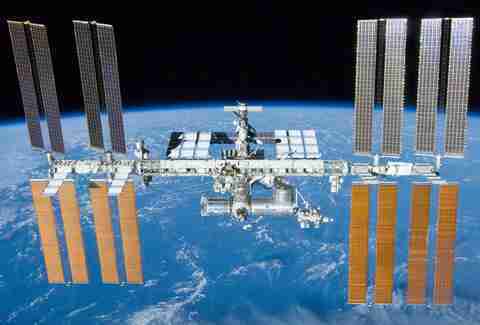 In the Winter, residents of the UK, on GMT, are actually on the same time as those selfie-taking astronauts at the ISS, who are midway between the time in Houston and Moscow. 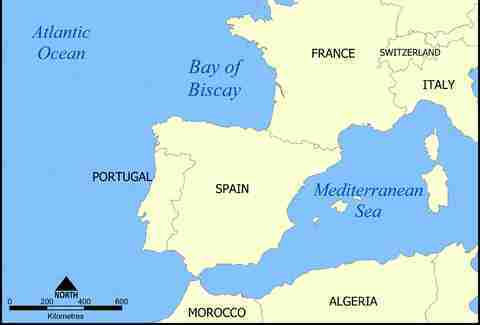 Most of mainland Spain is either on the same longitude as or further west than the UK. And yet, Spain is an hour ahead, time-wise. As NPR points out, Spain has effectively been in the wrong time zone since General Franco decided to align with Hitler. And now, 70 years later, Spaniards sleep 53 minutes less than other Europeans, work longer hours, and are less productive. That worked out for everybody. After DST was abolished in Egypt in 2011, it was recently reinstated “as a way to help reduce energy consumption”, thanks to the country’s energy crisis and subsequent blackouts in the capital, Cairo. Clocks jumped forward an hour on May 15, but returned to their original time for the Muslim holiday of Ramadan, at the end of June. 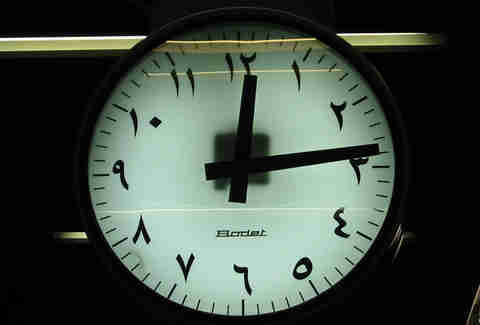 The time allegedly went forward once more at the end of Ramadan, but went back at Summer's end. Presumably, no one scheduled doctor's appointments in Egypt last summer. 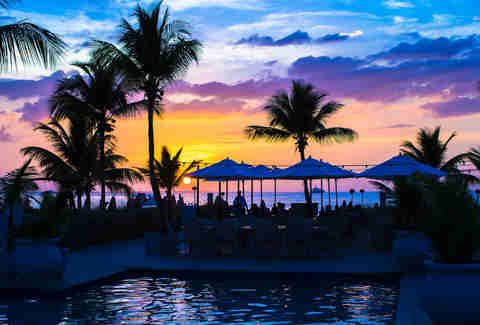 In 2015, the islands of Turks and Caicos switched time zones to capitalize on sunshine. When the clocks skipped ahead an hour for Daylight Savings, the Caribbean island moved from Eastern Standard Time, which British Overseas Territories traditionally observed, to Atlantic Standard Time. Basically, they abandoned the British to enjoy even MORE time in the sun (as if they don't have enough already!) 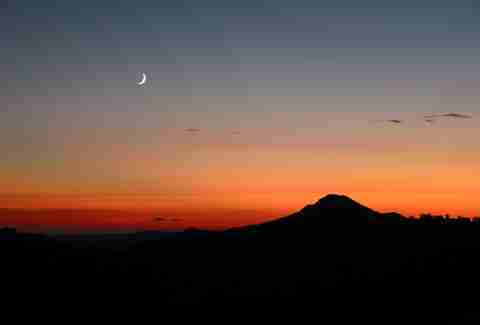 and later sunsets. Sounds like a worthwhile trade. Chloe Pantazi is an editorial assistant on Thrillist's travel team. A Brit living in NYC, she’s convinced that her body clock is still on London time. Follow her ahead of you on Twitter (GMT +1:00) at @ChloePantazi. This article was originally published on 5/28/14 and has been updated.